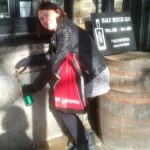 Last month we went on a “field trip” to Camden market. 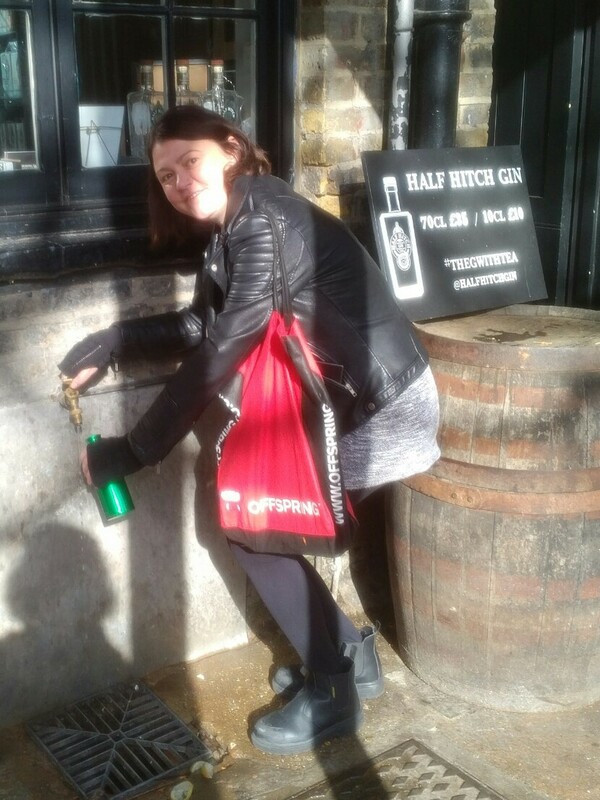 It might seem a little strange to be taking a field trip to somewhere we visit regularly, but then it’s not often you visit Camden market to spot litter bins. This was a fact finding mission to see for ourselves what the market is doing to refuse, reduce, reuse, recycle or rot waste. First some good news. 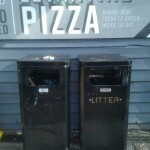 There are recycling bins dotted across the market. Traders have centralised access to a wide range of recycling including glass, food, oil and general recycling. 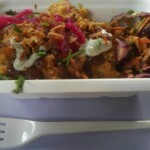 Many of the food stalls use bio-degradable containers. There is a tap which you can use to refill your water bottle.But there’s so also so much more that could be done. Turn the recycling bins around so people can see the recycling signs. 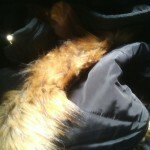 Yup, this was one of the most amusing sights and possibly the easiest improvement ever. Stronger labelling of what can be recycled would be useful too. We saw lots of food waste, food contaminated cardboard and coffee cups in the recycling bins and even some pieces of wood. Equally we saw lots of recyclable items in the general waste including the cardboard and plastic from a tray of cans which must have come from one of the traders’ stalls. With so many tourists in the market we can’t assume people know what to recycle. Simple signs on the top of the bins would help. 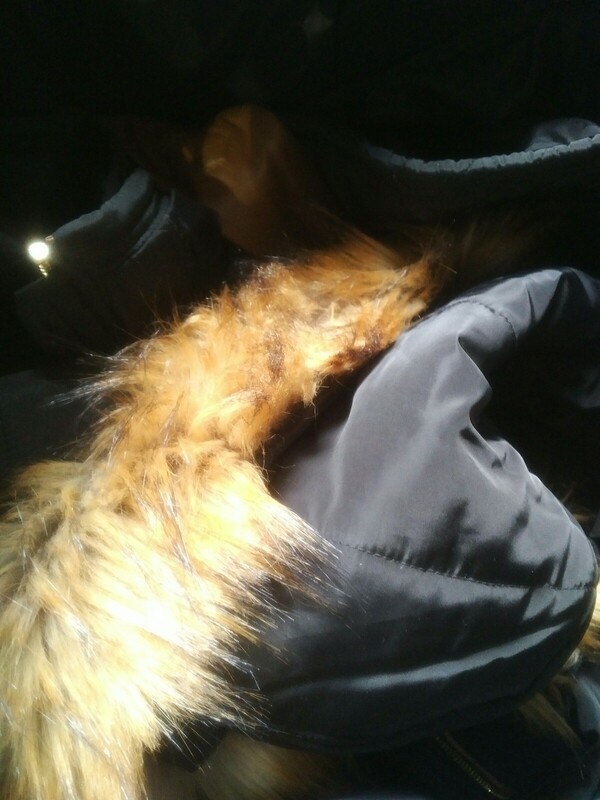 I wonder how many coats get thrown away in the market? 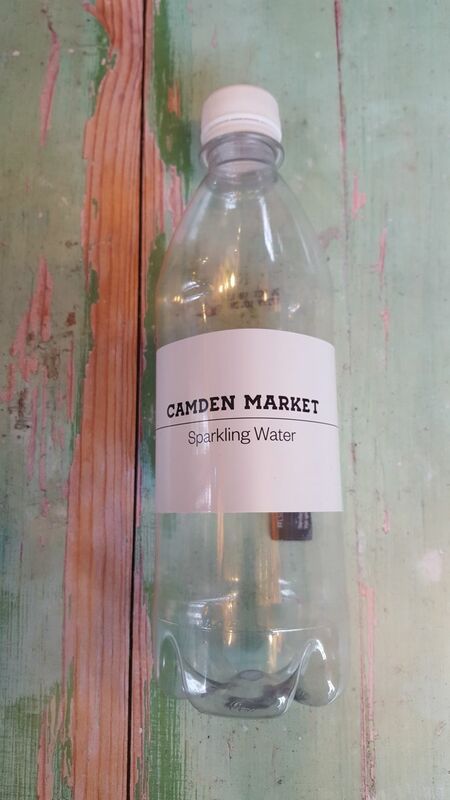 Why not have a branded reusable bottle rather than a throwaway one? Labelling the water tap to let people know they can refill their bottles there would really help. But why not go even further? 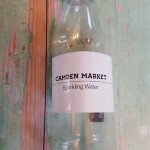 Instead of throwaway Camden Market branded water why not introduce branded refillable water bottles? We think visitors would love these as souvenirs. What we’d really love to see though is somewhere for all the food and compostable containers to go. The wonderful vegan pumpkin curry came in a cardboard container which I ended up taking home to put in my own compost bin. Manageable because I live only a few minutes away on the bike, impossible if you are a visitor. 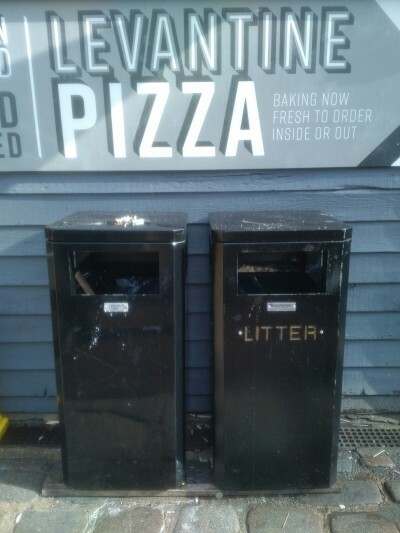 Replacing some of the bins with ones dedicated for food waste and compostables would have many advantages. There would be far less residual waste and recyclable waste would suffer from less contamination. 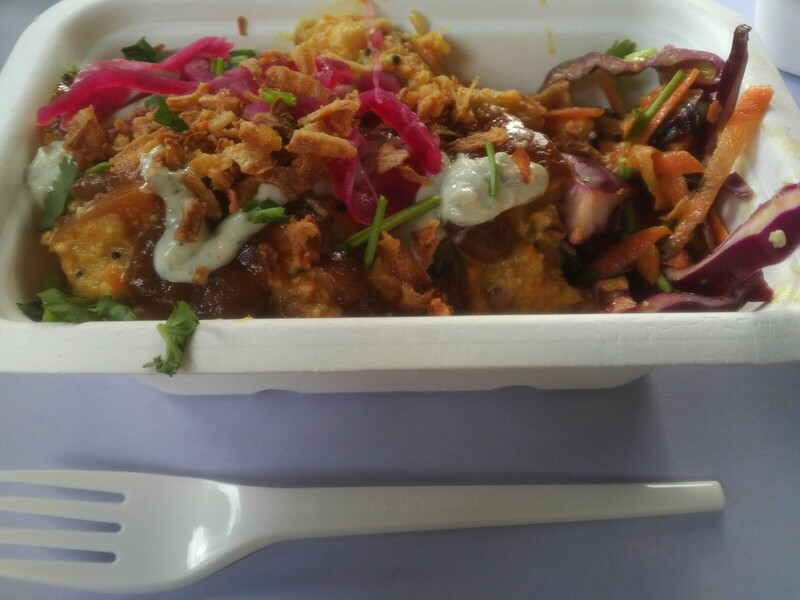 The wonderful food stalls who are already eliminating plastic and foil containers would be better supported and others would be encouraged to make the switch. All in all, a fabulous field trip. We’ve lots more ideas and lots of thinking which will help inform our work on throwaway takeaway containers and seeing waste differently. Want to know more? Get in touch.